With summer officially here, you and your family will probably be spending a lot of time enjoying the lovely weather. However, there are a few things to keep in mind in order to stay safe over summer. People who are aged 65 years and over need to take special precautions in hot weather, as they may be more likely to suffer from heat-related illnesses. While our bodies usually cool us down by sweating, this sometimes isn’t enough, and the body temperature will keep rising. This is known as hyperthermia or heat stress. Illnesses related to this can range from a rash to potentially life-threatening issues like heatstroke. For this reason, one of the most important summer tips for seniors is to take hydration seriously. Your body may not always tell you that it needs water. That’s why you should be proactive and drink plenty of water, and potentially use sweat replacement products containing electrolytes on very hot days. It can be difficult to stay cool in the height of summer, but luckily, modern technology makes it easier to stay cool while still getting out of the house. Movie theatres, shopping malls, libraries, and cafes will usually be nice and cool if you don’t have air conditioning. These places are also a great way to socialise or get some exercise without spending too much time in the heat. Summer safety for seniors will always involve communication. It’s important that the whole family recognises that high temperatures have the potential to be life-threatening for both seniors and small children. Seniors should always let family and friends know if they’ll be outdoors for an extended period of time- even if they’re just pulling out a few weeds. Another option? Set up a specific time to talk after you’re back inside and in the cool. We all know how deadly the sun can be in Australia. That’s why it’s important to follow the sun safety tips we hear each year. These include ‘Slip, Slop Slap.’ Make sure that you’re slipping on a long-sleeved shirt, slopping on plenty of sunscreen, and slapping on a hat. Seniors also have diminished defences against skin cancer. Since the skin gets thinner and more fragile as we age, seniors are more susceptible to the type of fast-acting skin damage caused by the sun. When you’re focusing on summer safety, one of the best things you can do is have a backup plan. That’s why it’s a good idea to write down a list of emergency phone numbers and keep them somewhere easy to access- like on the fridge or by the phone. That way, it’s easy to get in touch with the right people if you do need help. This is one of those safety tips that can be easy to forget until you’re outside somewhere and fighting the glare in the middle of summer. 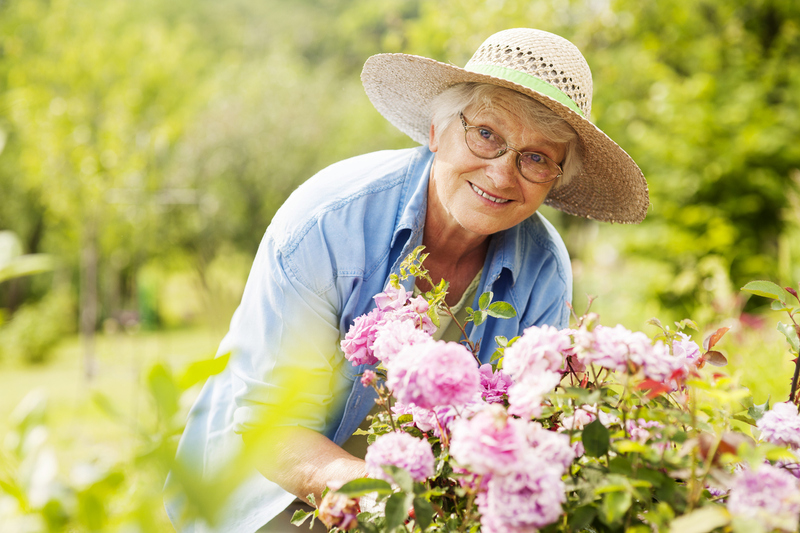 Many seniors can find themselves dealing with vision loss, and if you spend too much time exposing your eyes to the sun, this can irritate your them, causing further damage. Be sure to always wear sunglasses if you’re outside to look after your vision and protect your eyes from UV rays. There are many medications that increase your sun sensitivity. That’s why it’s important to check the side effects of any medications you’re taking so you’ll know if you need to take any extra precautions. While many summer health tips for seniors focus on staying indoors, many seniors are active well into their twilight years, and this shouldn’t change. However, the summer heat can make it difficult to do outdoor activities like golf, tennis, walking, and jogging. Your best bet is to get up early and go outside before the heat of the day. You may also find that you enjoy exercising a little later- maybe even after dinner. Cooking, gardening, and cleaning can be much more difficult in the heat. That’s why it can be a good idea to hire some help over summer. There are plenty of options, including everything from light cleaning to in-home health services. This is one of the most important senior summer safety tips, and it applies to families and friends of seniors as well. It’s normal to feel a little flushed and tired when the temperature rises, but if you’re feeling nauseous, you have a headache, and you’re fatigued, these are also early symptoms of heat stroke. Other warning signs include confusion, dizziness, high temperature, and often, a lack of sweat. If you notice these signs yourself, or in someone you love, get help immediately.